There must be a movie coming out or something? 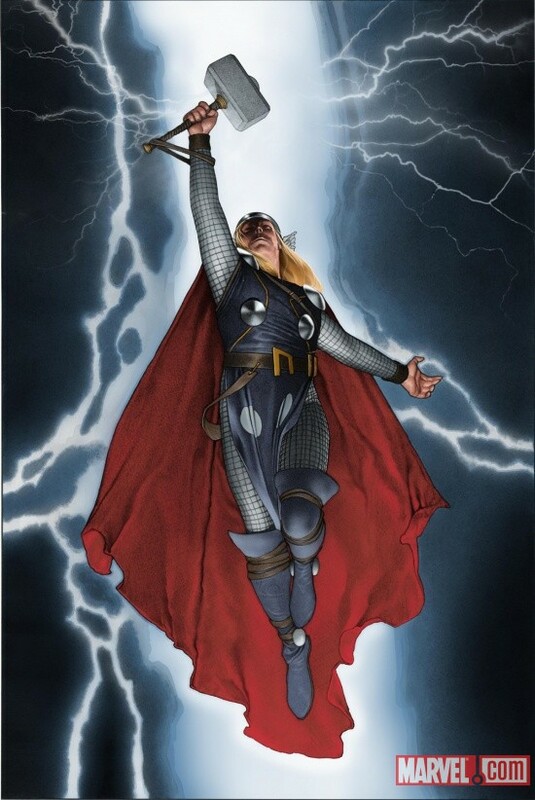 So the current Thor title is being renamed Journey Into Mystery and Marvel will launch a new Mighty Thor title in April 2011 (written by Matt Fraction, art by Olivier Coipel) with multiple covers, including a photo cover of Chris Hemsworth in his Norse god gear. One of those covers is by Canadian artist Travis Charest. It’s electrifying and a fine companion piece to the Captain America cover he did for a March 2011 release. Enjoy!